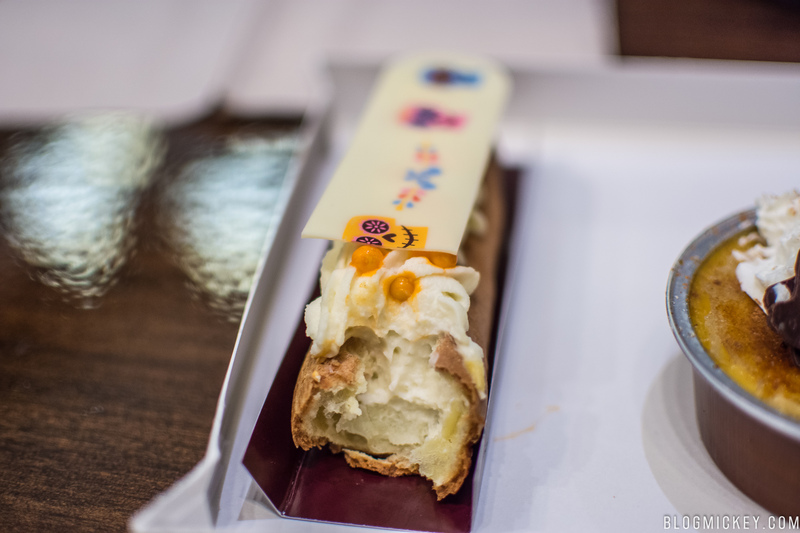 We made it out to Amorette’s Patisserie last night to check out a couple of their newest offerings. 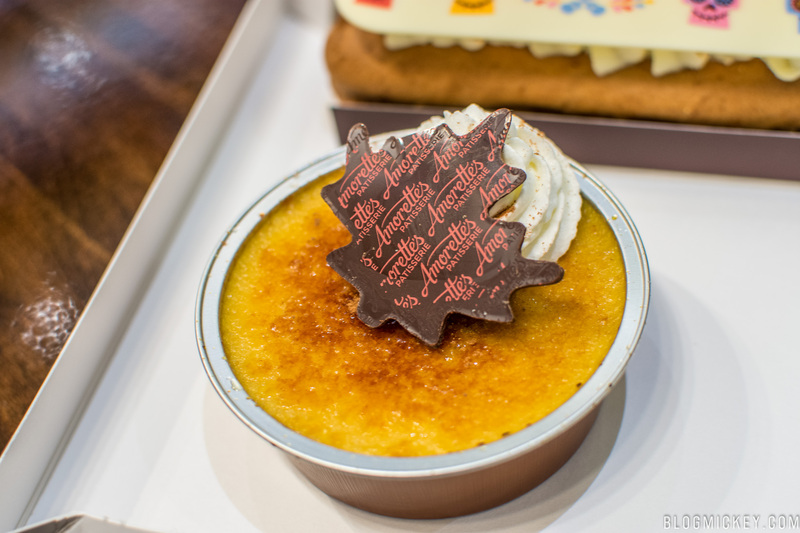 Amorette’s excels at creating high quality, artsy pastries and is located next to World of Disney in the Town Center district of Disney Springs. 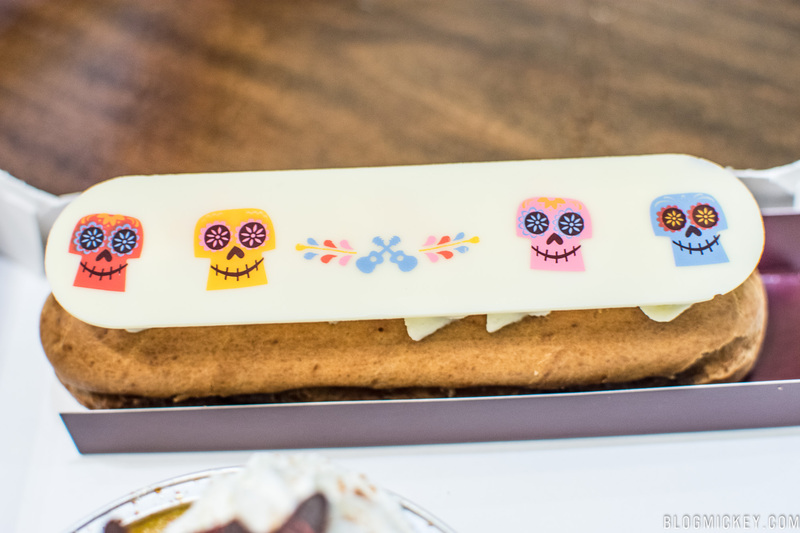 ‘Coco’ Coconut Eclair $6 – Sugar skulls line the white chocolate decorative top. I wasn’t able to identify the coconut in it, but it was apparently subtly present. The Eclair itself was wonderfully soft and enjoyable. Crème Brûlèe $6 – The Crème Brûlèe is served cool and has a creamy bottom layer hidden beneath a thin, but crunchy top layer. 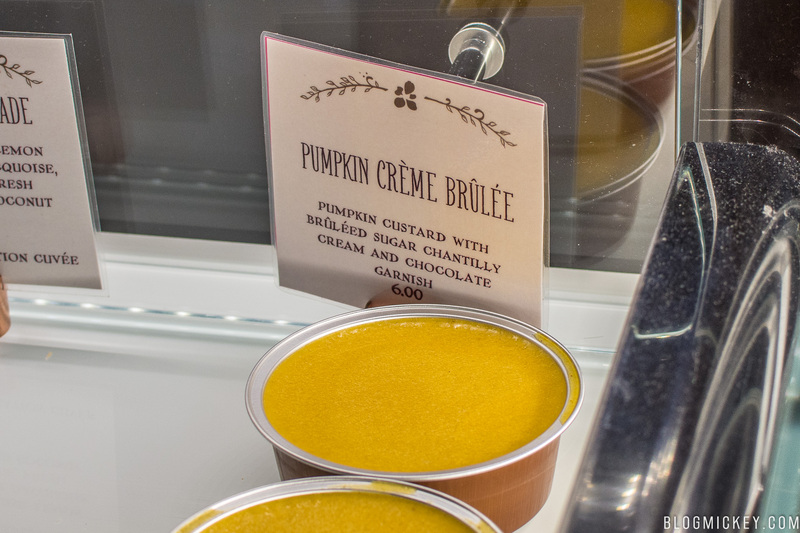 The pumpkin flavor is wonderfully present and perfect for the Fall season. A milk chocolate leaf and whipped cream top it off. 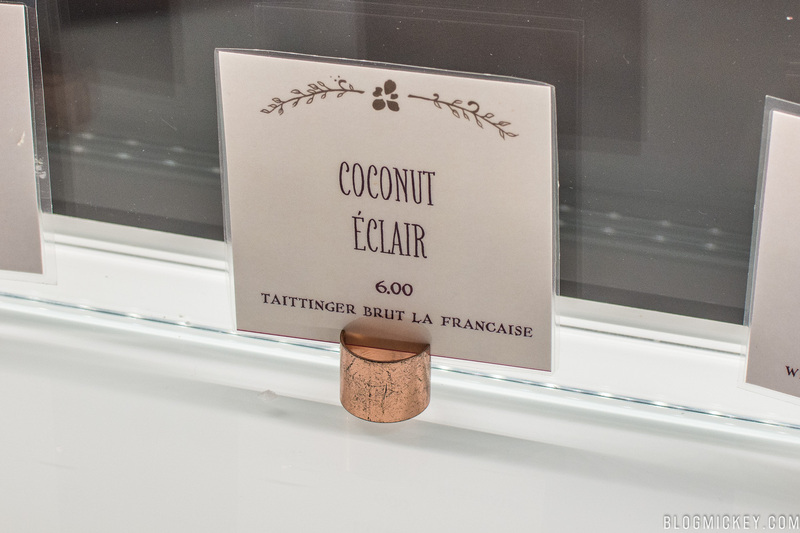 The Coco Eclair will be offered through the end of the year, and the Pumpkin Crème Brûlèe will be offered through November and maybe into December, based on supplies.